Maureen Cracknell Handmade: Hello, October! I can't believe more than a full month has past since I last shared here on the blog. For several years now I've enjoyed blogging regularly. Starting my day with a quick blog post to share newly stashed fabrics, a project plan, a celebratory finish or exciting news has been habit for me. When so many of my personal favorite folks in this industry shifted to fast moving, visual platforms of social media and eliminated blogging from their daily routines, I completely understood but, I made a solemn promise to myself to try my best to keep up with this blog. At times it's been impossible to find a moment in the day to share what I want. Other days, the much lower engagement would discourage me from wanting to continue posting here. While on one hand I'm not quite sure how I inadvertently missed a full month of posts, I see the long list of today's to-do's before me and I have my answer. But I've missed it here, without a doubt, so it feels good to start today playing a little catch-up! Just after my last post, when my Autumn Vibes LookBook was just about to be released, I got sick with a bad sore throat that quickly turned into pneumonia, again. I had tons to share, but I was much too miserable. Project plans and posts came to a halt, and honestly those couple of weeks are a complete blur to me. So let's start there, have you seen my Autumn Vibes LookBook? 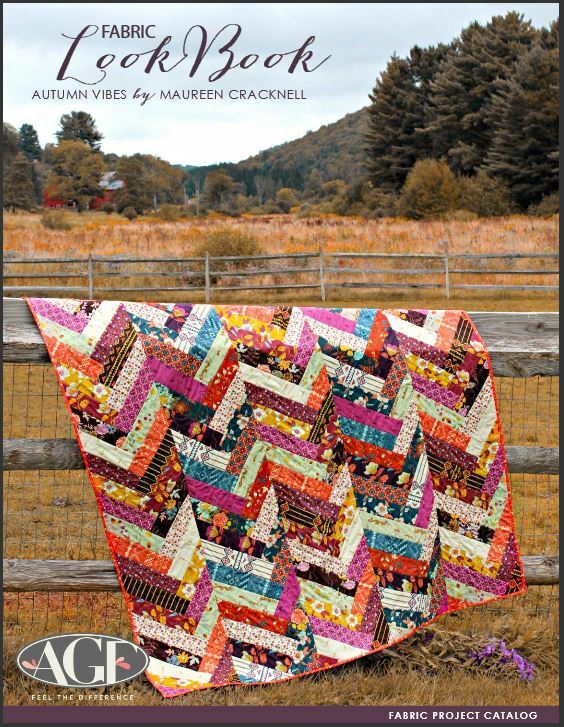 I'm excited to officially invite you all to browse through it's sixty-eight pages filled with beautiful sewing projects perfect for Autumn Vibes! 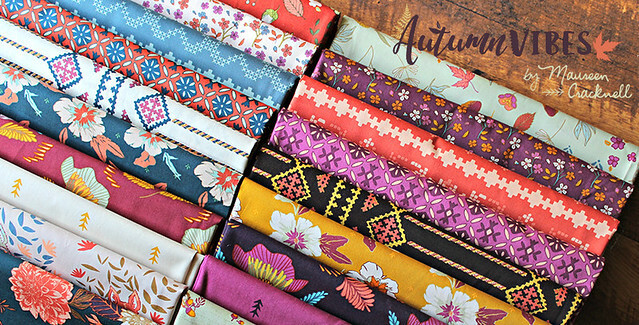 From small patchwork to 90" square quilts, you'll find all the inspiration you'll need for Autumn Vibes sewing! I made quite a few seasonal inspired projects, that I haven't yet had a chance to blog in detail, that I'm really looking forward to sharing more about in the days ahead. 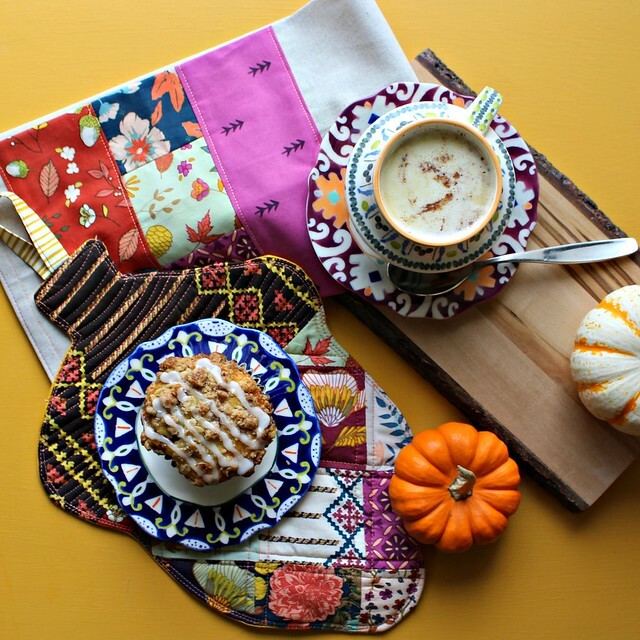 Between now and Thanksgiving I'm going to try my best to get through them all, since so many will make the perfect décor or hostess gift for the holiday! In other news, Art Gallery recently launched a series of brand new Color Master products! It was such fun to be surprised by AGF with our Designer Palette's, did you see the announcements? I'm so excited to share that AGF has created a collector’s box of fabrics like no other! Each Designer's Palette includes a hand-picked selection of fabric just perfect for makers to use for their creative projects. Each palette is a colorful, unique group of AGF’s signature quality cotton paired with an original and collectible box made exclusively for them! 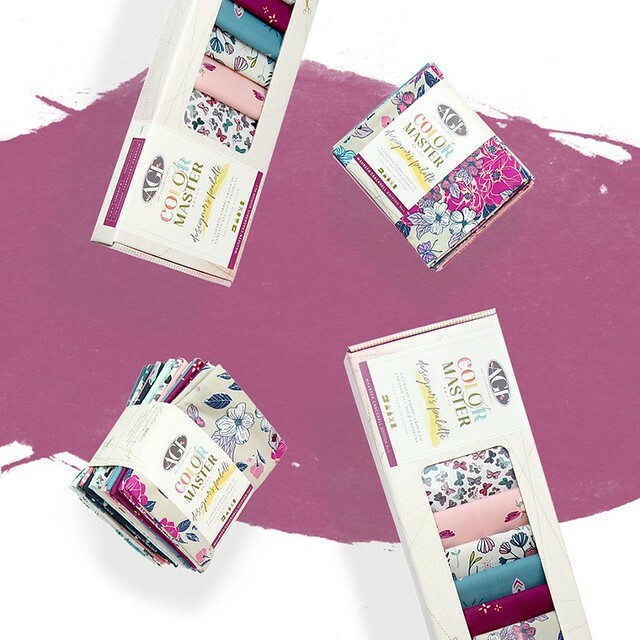 Color Master Designer’s Palette include some of the very best of each designer’s fabrics, in groups of ten prints available in two choices: Fat Quarters or Half Yards, as Bundles or Boxes! The Maureen Cracknell Edition No. 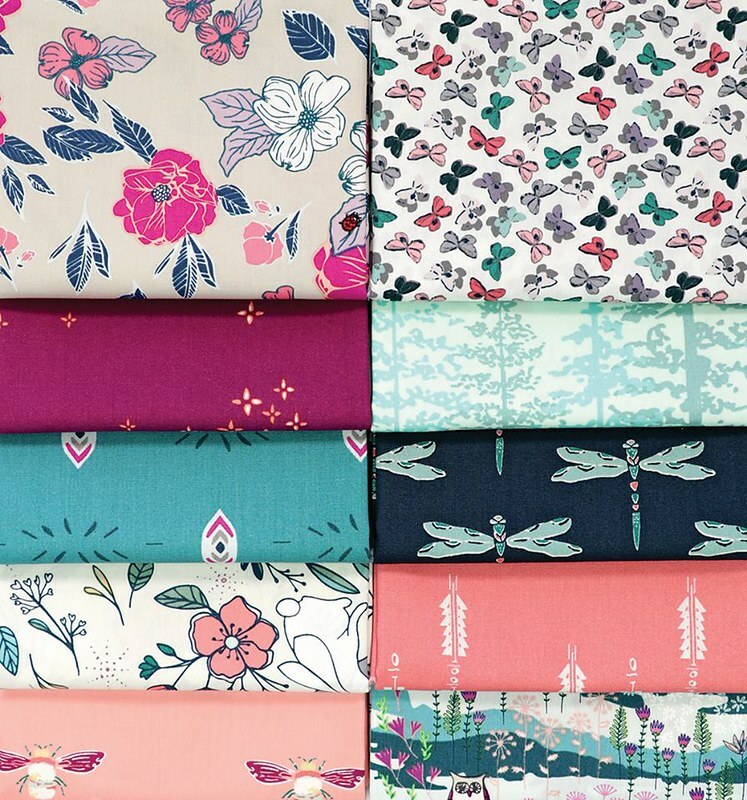 1 includes ten pretty prints from Nightfall, Garden Dreamer and Flower Child that together creates a pretty color palette perfect for your sewing needs. I have plans to create a project or two with these select prints in mind, so stay tuned for that! Lastly, today I need to share what I'm right in the thick of these days -- Quilt Market sewing! In just a little more than a week I need to complete, photograph and display all the samples I've been busy stitching up with my next collection due out this December, Sun Kissed! Although I'm not able to attend International Quilt Market in Houston, I'm putting together a studio display to showcase this line and I'm so thrilled with how it's coming together! I've been sharing little peeks when I can in my Instagram stories, so be sure to follow me there to get a first look at this upcoming collection. It's so much fun! There's so much more I'd love to share today, but not to overwhelm you, I think that's a good start to my blog return. I hope you're as excited about these announcements as I am! The backlog of projects I have to share is in the dozens, so be sure to stop back on Monday when I'm planning a fresh start to a full week of blogging. I'll have to organize a Fabric Friday Giveaway for old times sake! So sorry to hear you've been so sick. One year I had pneumonia three times, so I certainly feel for you because once is too much. Your Autumn Vibes is a fabulous collection! I love the great colors and prints. I also enjoy perusing the lookbooks - all of them. The new designer palettes will offer inspiration for future projects. I really enjoy reading your blog whenever you find time to post. Will be looking forward to seeing the projects you make with your new line of fabric. Oh my Goooosh so sorry you were sick. Pneumonia is so horrible. I know, I had "early pneumonia" a zillion years ago and I could not lie down at all. I had to sleep sitting up. I hope you are easily fully recovered and feeling wonderful soon. Being sick is terrible. I Love your new pile of fabrics. I love the deep purple and the orange together. I love how all of your collections really do go together. I have been working on my very first hexie project. Wow, kind of fun and obsessive. I had to bring dad to the hospital for a few days and that have been stressful. He is recovering nicely at age 94. Carrying along hexies has been soothing for me. So glad you are back - so very sorry to hear you were so sick!! Do what you need to do for you...just forge your own path to your happiness and we'll happily follow along. I think October has been the same for a lot of us. Glad you are feeling better. I'm looking forward to seeing the new fabric line. It looks so cheerful! so happy to see your blog post...I was getting worried:) Glad you're feeling better. I've been stitching a lot with Autumn Vibes, keeping up with you on IG. What a cute acorn pot holder! I'll have to go back and review the Look Book, thank you! Excited about your upcoming Sun Kissed collection and have a few coordinating AGF Pure Elements and Floral Elements bought and stashed awaiting.